This post begins a series on talking about what matters. Great attention is often paid to values in defining and marketing an organization. But what happens after that? It’s the ongoing dialogue about how to apply those values that brings them to life. Some leaders assume that if the values are written down, they will be followed. The problem with that assumption is that while people may WANT to follow the organization’s stated values, they may not know how. Until we engage people in conversations about HOW to apply ethical values, they only exist as an “ideal wish list,” not a set of guiding values for day-to-day work. People seek meaning. We’ve known this since ancient times, but we’re still learning how to help them find it. Great leaders make it a priority to help people find the meaning they seek. They take the time to imagine what each person could accomplish, and who they could become. They help them grow into the best of themselves. Why Should We Talk About What Matters? In addition to helping individuals find meaning in their work, conversations about what matters also help guide organizations to the success they seek. Ethical values are a framework for generating a positive impact on constituents and the broader global community. Talking about ethical values, done right, engages the workforce and improves the organization’s metrics in these important ways. Helping people figure out the right thing to do increases ethical awareness and ethical competence. A sense of meaning and purpose improves engagement, retention and job satisfaction. Focusing on positive outcomes for constituents makes work more satisfying and reduces ethical risk. Having ongoing and meaningful conversations about values improves ethical thinking and decision making. Talking about what matters gives people the grounding they need to find meaning in their work. Helping them understand and apply ethical values improves organizational outcomes. Great leadership is often defined based on efficiency, effectiveness or profitability, but that’s no way to define a journey of character building and authenticity. There’s much more to the story that needs to be told. Many people work hard to strike leadership gold and become great leaders. Few have a clear picture of exactly what the “great leadership” they’re aiming for will look like. Where will they find it? What kinds of development will help them grow into it? Who are good role models for it? Great leaders tap into the “gold within.” They bring out the greatness within each person, helping them to reach their potential. They bring out the greatness in each team, creating the positive space for results that seem impossible. Like archaeologists using a small brush under the hot desert sun, leaders carefully uncover the invisible – the rich deposits of hope, potential and impact that lie within others. Why is trustworthy leadership so powerful? How does it set a positive tone and lead organizations to better performance? These 5 reasons quickly come to mind. 1. Leading with values creates a safe work environment and builds trust. 2. When people trust their leaders, they are free to create amazing work. 3. When people trust their leaders, they are also more likely to trust each other. 4. Organizations with high trust release the natural creativity and potential of the people who work there. 5. The transformational effects of #1-4 above propel high-trust organizations to greater performance. Leading in ways that build trust releases the inherent potential within the organization and its people. It brings out everyone’s best. And it’s gaining momentum. 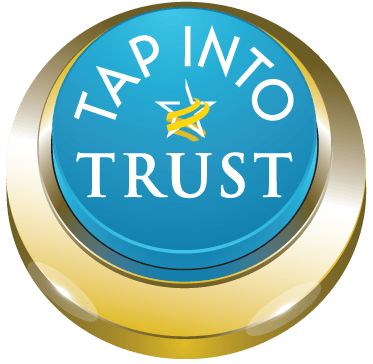 Are you part of the Trust Movement? I believe that values-based leadership is gaining momentum. Recently I was asked to explain why I think so, and I thought I would share my answer in today’s blog post. Here are a number of trends that I see that are working together to fuel the movement toward leading with positive values. Values-based leadership is gaining momentum, and it’s fueled by a convergence of positive trends. These forces are coming from various directions and perspectives, all leading toward positive, proactive values-based leadership. See if you recognize any of them, and feel free to comment with your additions to the list. How do forward-thinking leaders define “doing well?” They don’t define it as simply reaching financial projections and avoiding lawsuits. They define it as always leading with values. They define success in terms of mutual benefit – creating shared value for multiple stakeholders and making a positive difference. Character is important, but leading ethically in the fullest sense requires much more than just demonstrating good character. In this 2 minute video, I describe 7 different perspectives that you may hear around the table as you discuss ethical dilemmas in your organization. Instead of being competing perspectives, each one is an important element of the full picture of what it means to lead ethically in a global society. As you watch, see how many of these 7 different perspectives you can recognize in your organization’s dialogue about ethics. We’re starting a new year, with fresh possibilities, and it is a good time to think about our leadership values. What do we believe? How do we treat others? What matters to us? Can people determine our values just by watching how we treat people? we have ignored important ethical factors. The 13 leadership temptations below are very real and we have all faced them. As leaders, it is our job to carefully resist them. To do that, we first have to admit that they exist and that they challenge us, and then we must decide to take positive actions. We all have the capacity to do good and to do harm. Let’s resolve to do good and to resist these 13 Leadership Temptations in the New Year. Author’s Note: This post was inspired by British ethicist Mary Warnock in her speech about scandals in the British Parliament, shared on Vimeo by The School of Life.